A new bunch of sales data for the current generation of consoles is in, and unsurprisingly, the PlayStation 4 still leads the Xbox One in global shipments. However, a strong fourth quarter of 2014 for Microsoft indicates that they are catching up in the console race. Lifetime sales data for all three consoles, as compiled and analyzed by Ars Technica, shows the PS4 firmly in the lead with just shy of 20 million total worldwide shipments. The Xbox One follows with between 11 and 13 million shipments, and the Wii U in third place with 9.3 million shipments despite launching a year earlier. While Sony has shipped roughly 66% more current-gen consoles than Microsoft in total, the Xbox One is catching up in recent quarters. Between October and December 2014, the critical holiday period, Sony shipped 6.4 million PS4s to Microsoft's 4.5-5.5 million Xbox Ones. Through this time period, the PS4 had a much narrower lead of around 30%. Increased shipments and sales for Microsoft's console line up pretty well with decisions to cut its price. The Xbox One's price temporarily decreased to $349 through the 2014 holiday season, and again in January in an ongoing promotion. The previous price of the entry-level Xbox One SKU was identical to the current price of the PlayStation 4, at $399. 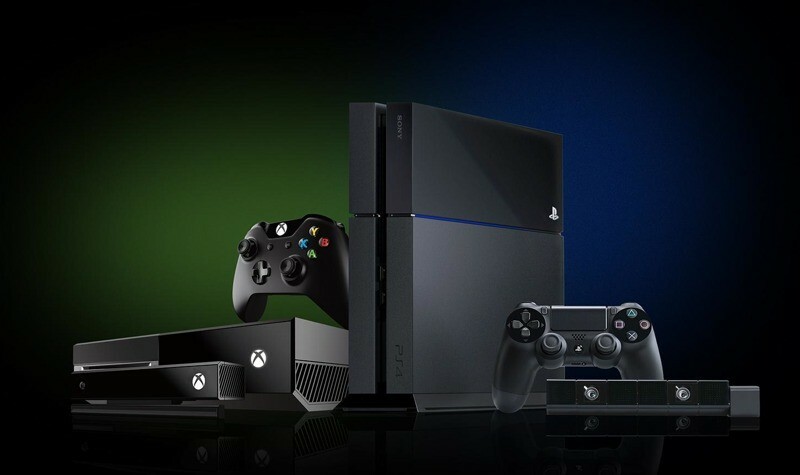 Sony has no plans to drop the price of their console to match the Xbox One, insisting that their $50 more expensive console is still the preferred choice of buyers and gamers. And they'd generally be right: the PS4 commands around 47% of the current-gen console market, with the Xbox One on around 31% and the Wii U trailing with a 22% share.